Basic Clinics - Learn How to Top-Rope Belay! Lead Clinics - Learn How to Lead Climb! Movement Clinic - Improve your Technique! 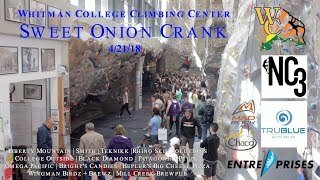 Crack Clinic - Learn How to Crack Climb! 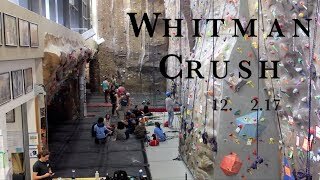 Route Setting Clinic - Learn How to Set Routes! 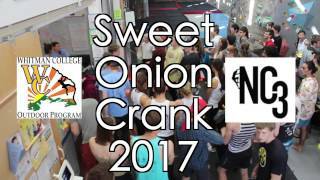 Come to the Climbing Center to sign up or for more information. The indoor climbing wall offers a wide variety of routes and climb types. Brien Sheedy, the Outdoor Program director and a mountain climber who has scaled the Seven Summits, helped design the facility. He rates it as one of the most innovative walls in the nation and believes it offers something for all levels of climbing and climbing instruction. The climbing wall, comprising hundreds of imprint and free-form panels, has a total climbable surface of about 7,000 square feet. The main wall is 104 feet long and 39.24 feet at its highest point. An outer wall of windows allows for natural lighting while providing climbers with protection against ultraviolet sunlight. 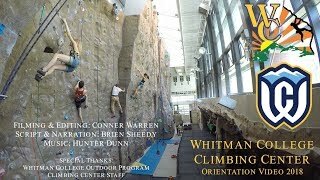 The Climbing Center is located on the corner of Park and Boyer Ave, across from Reid Campus Center, and on the south side of Sherwood Athletic Center, at 47 Park Avenue. The Climbing Center must be accessed from SE door. DO NOT GO THROUGH SHERWOOD.